Bake, covered, 40 minutes. Sprinkle with remaining cheese. 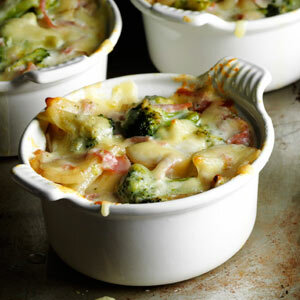 Bake, uncovered, 20-25 minutes longer or until potatoes are tender and cheese is melted. Yield: 8 servings.